We went briefly with Ms B to a small church thing so she could introduce the group to Firefly. I was in the bathroom changing a diaper when a woman came through with her young son. I honestly thought she knew Ms B, which was the only reason I let this conversation go the way it did. I didn't want to be rude to someone in Ms B's world. "No, it was an adoption." "Why do people always pick the biracial ones?" I decide to ignore both the truth in her statement and her assumptions about me. I'm now keenly aware that she is African-American and I am not. "Well, we didn't pick her, her mom picked us." "Huh. So why'd she give her to you?" "I think you'd need to ask her. She's [Ms B]'s baby. [Ms B Lastname]?" I gesture toward the room outside. "I don't know her. Wait, so her mom still sees her?" "Yes, that's what open adoption is." "That must be hard on you." "Well, I think about her [Firefly] in the future and how much harder it would be for her to not know all her parents or where she came from." "Are you going to have your own kids?" "Probably not. And she is my own." I look down at Firefly and she squeaks happily. "Look, she knows who you are. You're her new mom." "Mmm-hm. I'm one of her moms." "She seems happy. She's cute." "Weird." She starts to leave. "This parenting thing. I don't know. I didn't know how hard..." She gestures at her son. "Will you take mine?" "Probably not. And she is my own." I like how you answered the question addressing her version of "your own" and inserting your truth. Usually I do one or the other. I've had this experience too, where I engage farther in the conversation than I would otherwise because I believe there is a common bond, only to discover there isn't (be that a discussion about adoption reform, respect for first parents, or whatever). Did she seem serious in offering you her son? I mean, not in that she really was, but that she was processing the connection with adoption and difficult circumstances? It seems like people have a lot of assumptions about why women place, but hardly ever connect it to reality. Like a friend I have who said "adoption is just paying someone to have your baby, right?" She was really affronted when I told her to think of a situation that would lead her to place her child (she was pregnant) for adoption, and that THAT was what adoption often is. 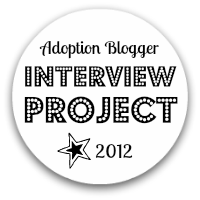 A normal person, me or you, or our sister, who is facing circumstances in which adoption seems like the best thing to do for the child. She'd never thought of it that way, and it sounds like maybe this lady hadn't either. I don't know if I should laugh or be angry for you. You handled it with far more grace than I.
Yay! I can comment! :D But I love the new blog look -- I don't think I got to tell you that! I hate it when I get in over my head before I realize it and then I'm all discombobulated. I can only hope that I somehow manage to sound half as gracious as you did here. Seriously -- you have my admiration!!! I find it fascinating that she wanted to know WHY Ms. B chose you. I have so many thoughts on that, but I probably don't want to get into something so touchy on someone else's blog. I've experienced a lot of that IRL, too, so I ponder it often. You handled this, as you do so many things, with aplomb. Nicely done. interesting, aggravating, and astounding. I agree, you handled it with beautiful grace, every answer perfect. Ummmmm. Really? That really happened and you aren't making it up??? I am just shell shocked at that women. First of all Firefly IS your own and secondly what a wierdo! You handled that much better than I would have. You handled that SO well. And although a lot of her comments were hurtful, to me they actually seemed more like the ignorant/ genuinely curious variety, and I feel like you actually made an impact with what you said. of course if you had just walked away i would totally understand, too. but really, very nicely done. i am way impressed. Thanks, everyone. It was a bizarre conversation. @kohana--She wasn't joking in the way people do when their kids are acting up in the check-out line at Target and they say, "Ha, ha, take my kids, please." Her son wasn't even misbehaving. She sounded truly tired and overwhelmed. So I wouldn't say it was a real offer, but it was a real expression of hopelessness. I realized later that she was there for the meal/shower/clothing that was available that evening for the homeless community. So clearly she's facing some difficulties right now. Her son was old enough to understand what she was saying, too. That last comment just twisted me up inside. Ugh, how uncomfortable. I admire the way you handled it! I think you handled it beautifully considering the context. Thinking she was in Ms. B's circle, you didn't want to make her uncomfortable. And each and every answer was true and sincere. Like you, I often say more than I should but how do you know in those situations? Hugs to you and Miss Firefly. And what a blessing that Ms. B is inviting you into her world. I met one of Bug's other mom's friends recently and it felt good to know some of the people who try to support her. "Why do people always pick the biracial ones?" "Huh. So why'd she give her to you?" I'm so impressed that you were able to formulate such great replies. Well done! One time when my kids were very little an older white lady asked me, pointing to Pumpkin, "Are the black ones easier to get?" I managed to stammer, "I don't know about that, but we sure wanted this great little guy!" And then later I cried about it. I actually felt kind of badly at the time that I hadn't "stood up" for Pumpkin in a more direct way. Like, maybe I should have slapped her or something! Obviously, that would not have been wise, and I'm grateful that I managed the answer I did, even if it was unsatisfying for me. 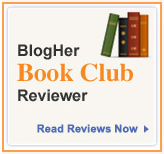 Hi, I've just recently started reading your blog. And encouraging my hubby to read your husband's. 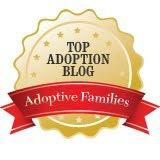 Thank you for "blazing the trail" of open adoption so candidly and openly. Our youngest son is adopted and it is open on the birth mom's side (she chooses not to have contact) and "closed" on the birth dad's side. That was a decision that was made because of abuse that B (birth mom) suffered at his hands and other behavior from him witnessed by people whose judgement we trust completely. It is a sticky situation because we live close to all involved. Anyway, I'm rambling. Just wanted to say I can relate to the "your own" conversation. I have met birth dad's grandmother twice over the last three years and both times she asked "You have children of your own, right?". Yep, three of them. Oy, sometimes I feel ill prepared for this journey that is open adoption!